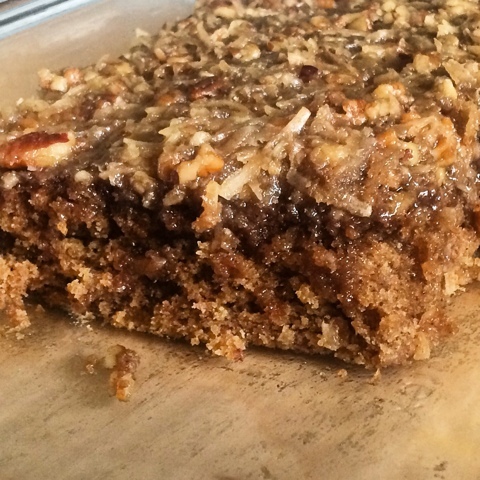 A quick, easy cake with a coconut-pecan topping. 100% whole grain. One of my college roommates, Rachel, was as fond of cooking as I was. And she had this great cookbook – The Joy of Cooking – that I fell in love with. My first favorite recipe from the cookbook's pages was Spinach with Currants and Pine Nuts. Rachel made it once and I was hooked. 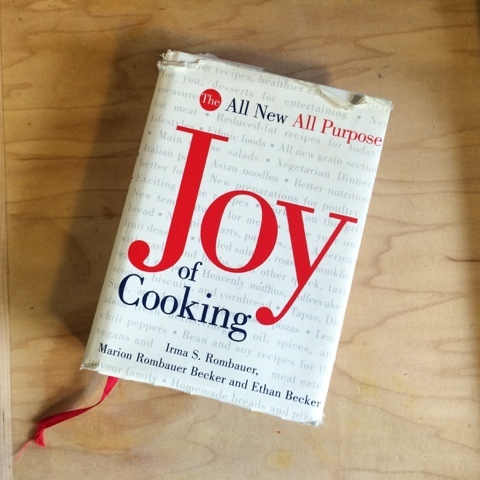 I think the real reason I fell in love with Joy, though, was because it provided such a wealth of information on basic cooking techniques and ingredients. 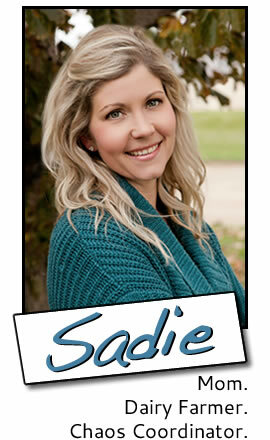 At that time, I was still pretty new to cooking – most of my childhood had been spent in the barn, not the kitchen. After college, I lived without Joy until Glen bought me a copy for my birthday. For years, Joy and a spiral-bound collection of church recipes were my only cookbooks. My copy of Joy is now filled with bookmarks – including sticky notes, scraps of paper, a Dove chocolate wrapper, and junk mail envelopes. Many of the recipes are marked with the date I first tried them and the changes I made. I still appreciate Joy's how-to advice. Even when I'm following a recipe from another cookbook or blog, I'll pull Joy out to reference a technique. Or when I'm trying to concoct a recipe of my own, I'll use a similar recipe from Joy to estimate quantities of ingredients or cooking times. The date marked alongside the recipe for Oatmeal Sheet Cake is 4/10/2008. I can't remember what prompted me to try it that first time, but my notes say that it was "Excellent!" I do remember that I made it another time that spring. And then I forgot about it. 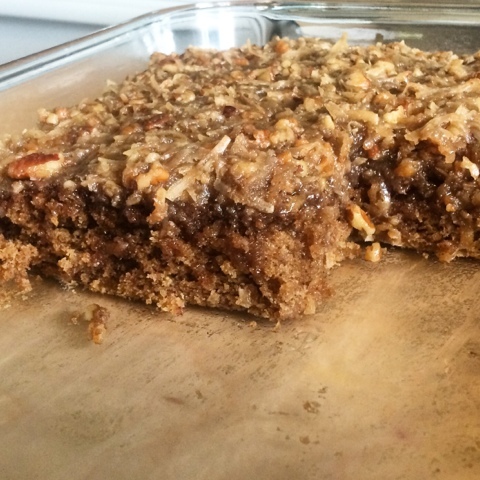 I really shouldn't have, because it's a super yummy cake that's really easy to make. I think my forgetfulness might have had something to do with the fact that we soon found out we had another baby on the way. That was the beginning of a period of time during which I did very little baking of any kind. Sadly, that period lasted so long that Dan asked me once, "Mom, why don't you bake cookies like Grandma does?" Happily, that period in my life is over. Now, I bake quite a bit, usually as a form of stress relief and a way to procrastinate. And I am so glad that I remembered this cake a couple weeks ago. I will be baking it a lot more often. Heat water to boiling and combine with oatmeal. Cover and let stand for at least 20 minutes. Preheat oven to 350°F and butter a 9 x 13 inch pan. In small bowl, mix flour, soda, spices and salt together with fork. In medium bowl, cream butter and sugars together. Mixture will be crumbly. Beat in eggs and vanilla. Then beat in oatmeal. Stir flour mixture into batter with large spatula. Pour batter into pan. Bake until toothpick inserted in center comes out clean, about 30 minutes. While cake is baking, prepare icing, below. Allow cake to cool slightly before icing. Melt butter in medium bowl. Add sugar, cream, vanilla and salt and mix until smooth. Stir in pecans and coconut. After cake has cooled slightly, preheat broiler and spread icing evenly over cake. Place cake 4 inches below the broiler. Broil until icing is bubbly all over, about 1 to 3 minutes. Rotate pan after one minute so that icing broils evenly. Watch constantly so that icing does not burn. Cake recipe adapted from Oatmeal Sheet Cake in The Joy of Cooking. Icing recipe from The Joy of Cooking. 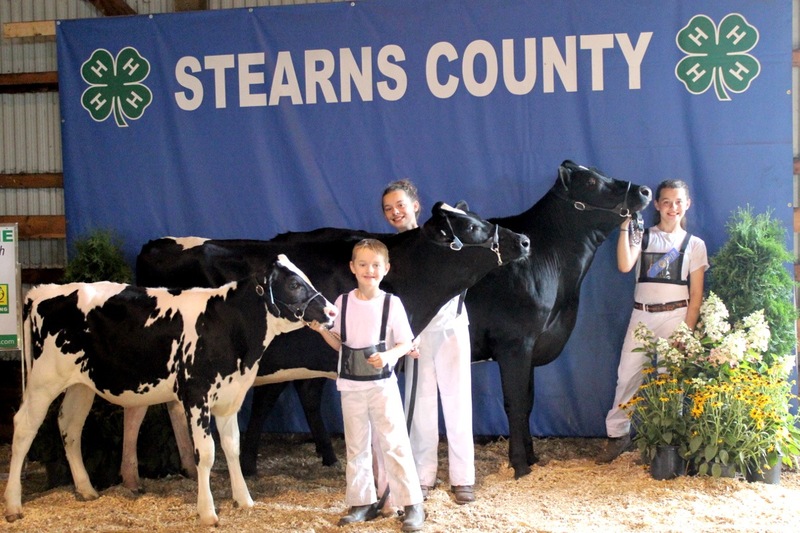 Our summer wouldn't be complete without spending some time at the Stearns County Fair. Riding the rides, visiting with friends, checking out all of the exhibits, noshing on corn dogs, and showing our cattle – we love it all. Now that the calves and heifers are all back in their pens and the show halters are back in the show box, I thought I'd share a few photos from the shows. Looking back at the photos from our first year of showing, I can't believe how much our little exhibitors have grown. I'm sure I'll look back at this post one day and think the same thing again. 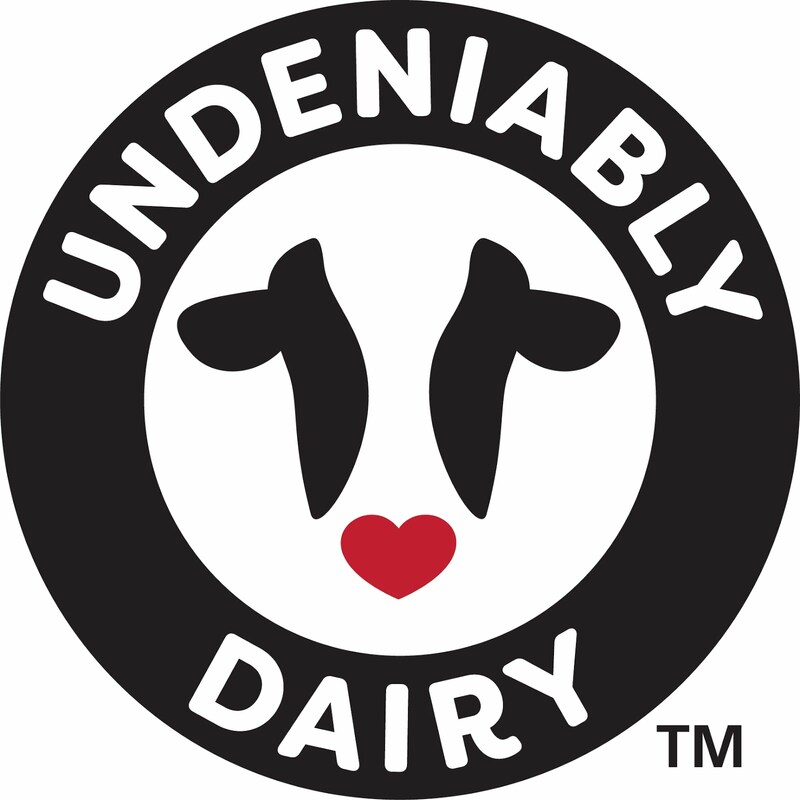 We didn't show at the Central Minnesota Youth Dairy Days Show this year, so our only show this summer was the Stearns County Fair Open Show. Dan showed Lego and Monika showed Sparkle. 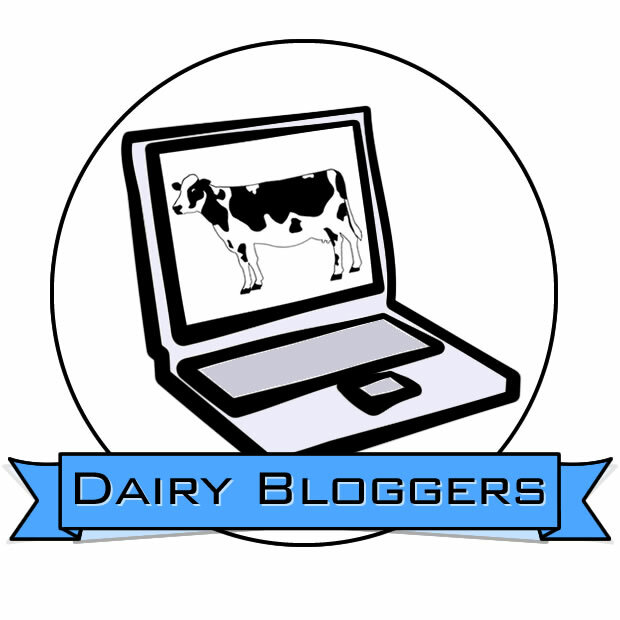 Lego is an April crossbred calf out of Lucy, Dan's favorite cow. Sparkle is a March Jersey calf out of Star, one of Monika's favorite cows. Dan and Monika knew from the moments Lego and Sparkle were born that they would be their fair calves. Even though we didn't spend as much time walking the calves as I thought we should have, the show went well. 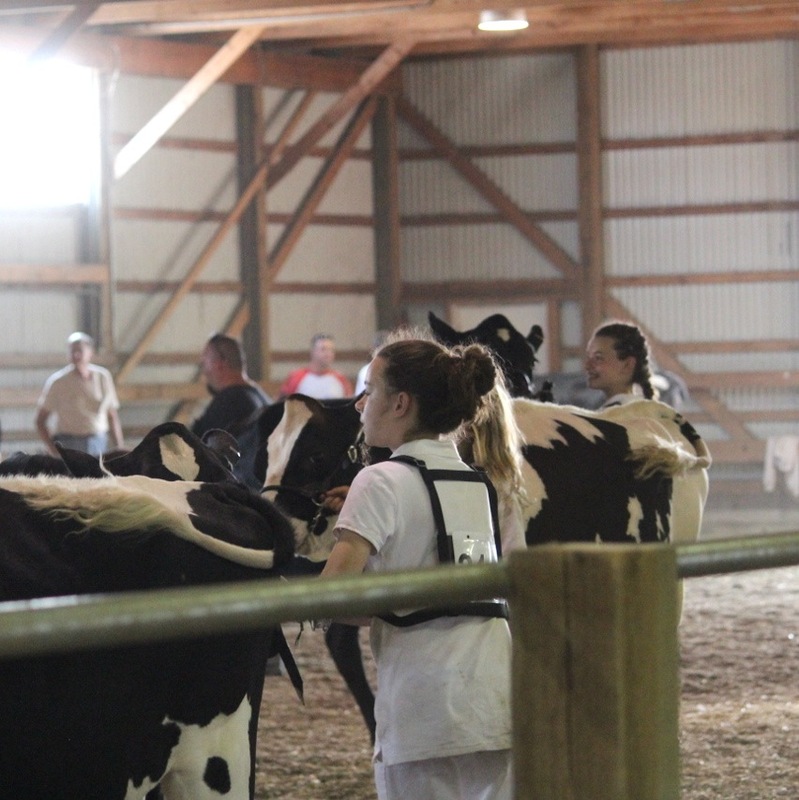 Dan and Monika did a great job telling the judge about their calves. They practiced watching the judge and walking slowly, too. Monika was excited to get a ribbon from Stearns County Dairy Princess, Sabrina Ley. Lego and Sparkle weren't the only calves from our farm that went to the fair. 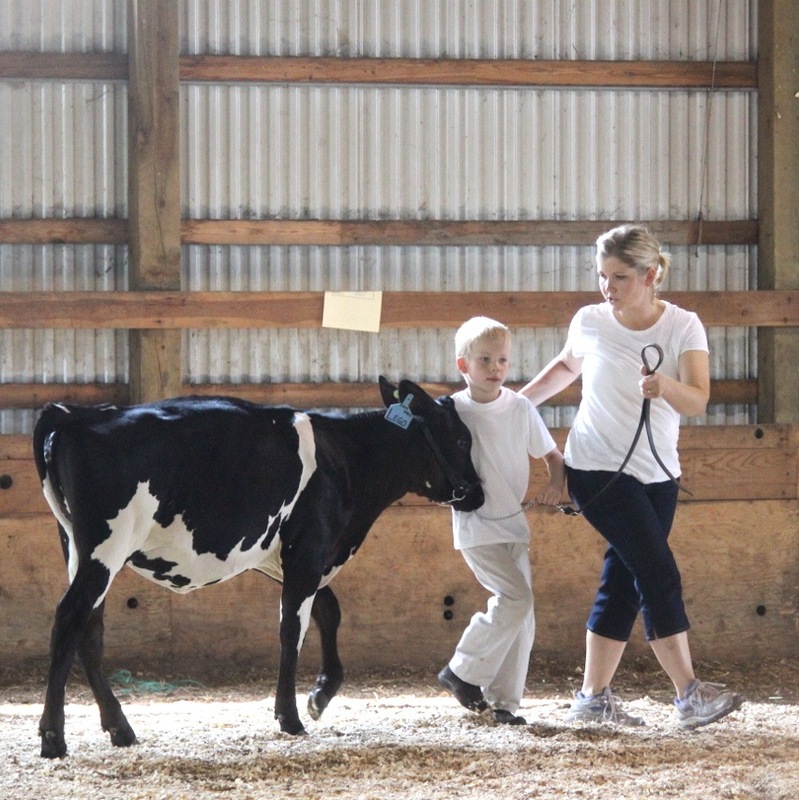 Our nieces and nephew showed several of our calves and heifers, too, in both the 4-H Dairy Show and the Open Show. 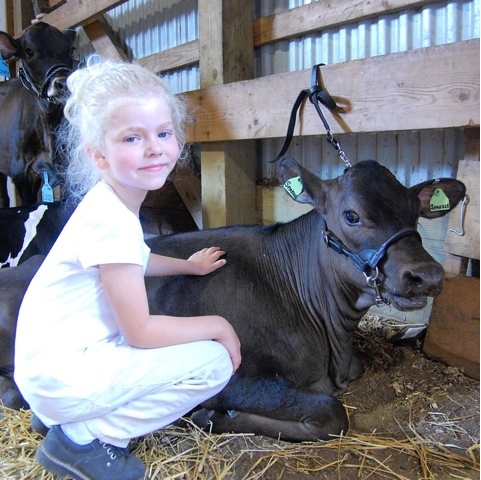 Hailey showed Java, a crossbred spring junior yearling (above), and Gael, a Holstein spring calf. Kallie showed Penny, a Holstein fall calf (above), and Honey, a crossbred spring calf. Bryce showed Wiggle, a Holstein spring calf. Hailey, Kallie, and Bryce all did a great job showing this year, too. Bryce had a lot of fun in the Cloverbud show. Hailey and Kallie did very well in 4-H showmanship. I wasn't organized enough to get a picture of our kids together after the show, but I love this picture my sister-in-law, Tammy, took of Hailey, Kallie, and Bryce. 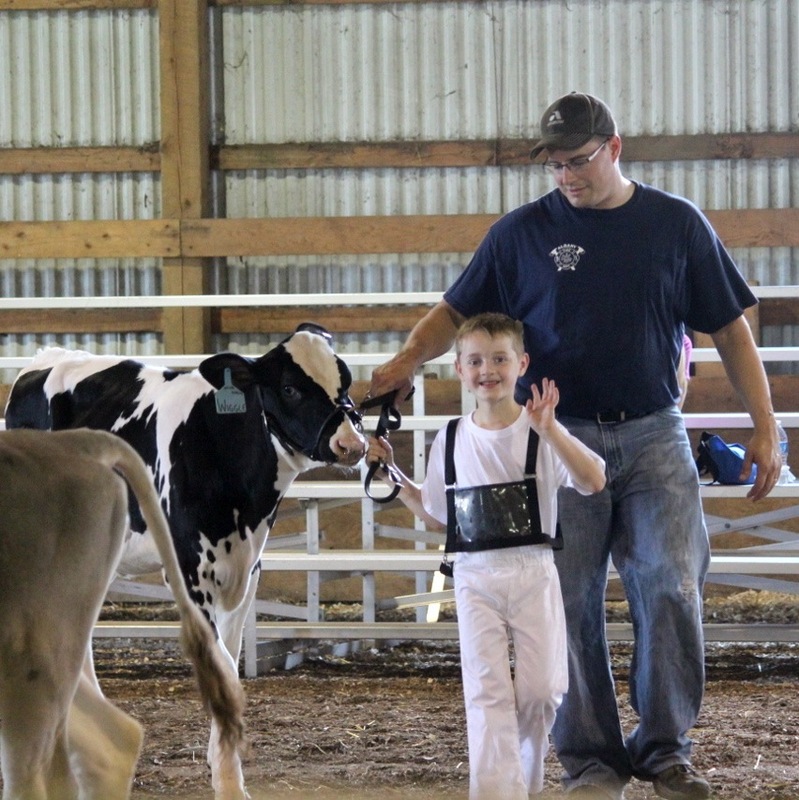 Dan and Monika will join 4-H this fall, so next year's fair will be a whole new adventure for us, with both 4-H and Open shows and stalling our calves at the fair for the whole week, instead of just bringing them in the day of the show. 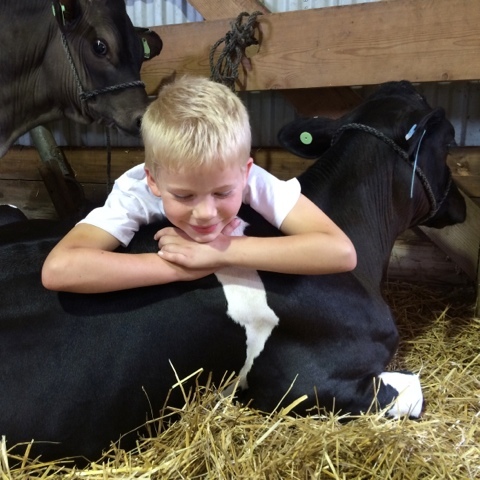 Dan wants to take two calves to the fair next year – and chickens – so we're already thinking about which cows will have possible fair calves next spring and which of this year's calves will go on to show next year. Did you go to your County Fair? What's your favorite part of the fair? Hearty, wholegrain, portable pancakes. Perfect for busy school day mornings. Summer is winding down and the new school year will soon start. There will be new teachers, new classrooms, and new school supplies. It’s an exciting time of year for Dan and Monika. We’ll also be starting a new morning routine. Monika will go to Kindergarten this year, which means our mornings will have to start extra early. 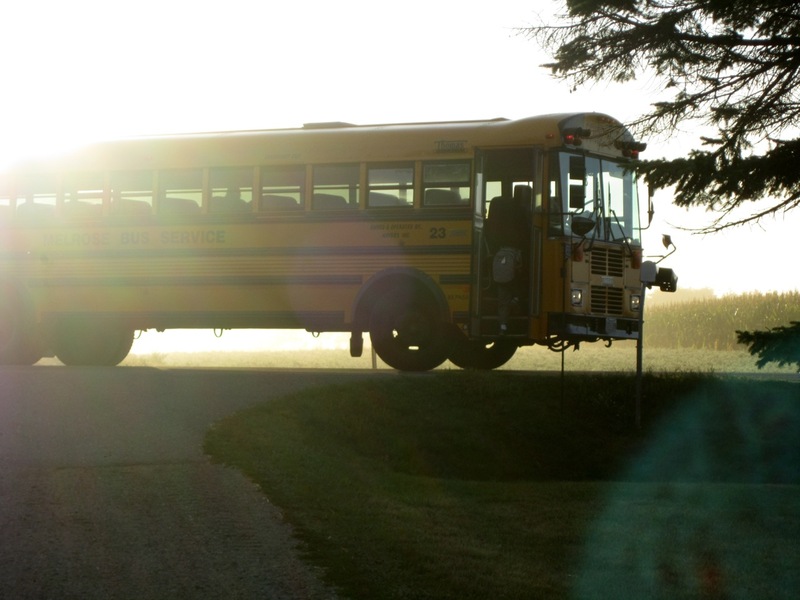 Our kids get on the bus at 7:20 a.m. When it was just Dan getting on the bus, I could rush in from the barn, wake him up at 7:00 and get him to the bus with matching socks, some breakfast in his tummy, and clean teeth. There is no way I can get Monika ready for school in 20 minutes. She takes longer to get dressed. She takes her time eating. And then there’s her hair. Monika’s curls can’t just be brushed quick on the way out the door. 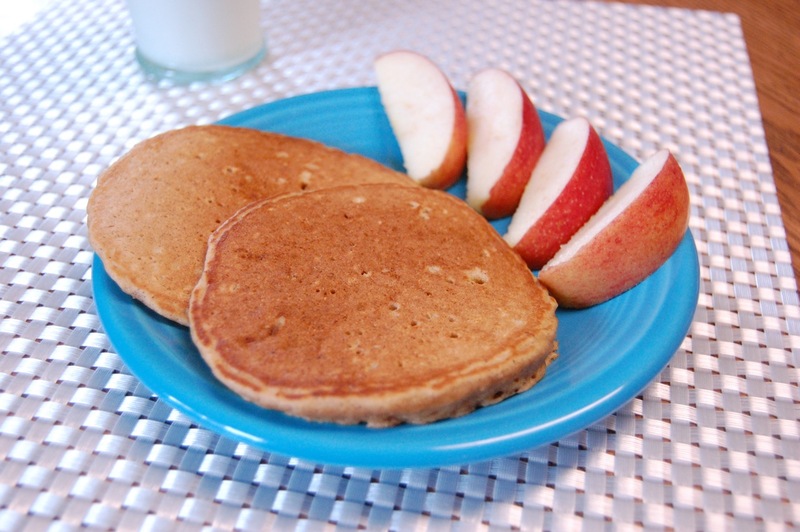 Our new morning routine will also include my new recipe for Apple Cinnamon Toaster Pancakes. 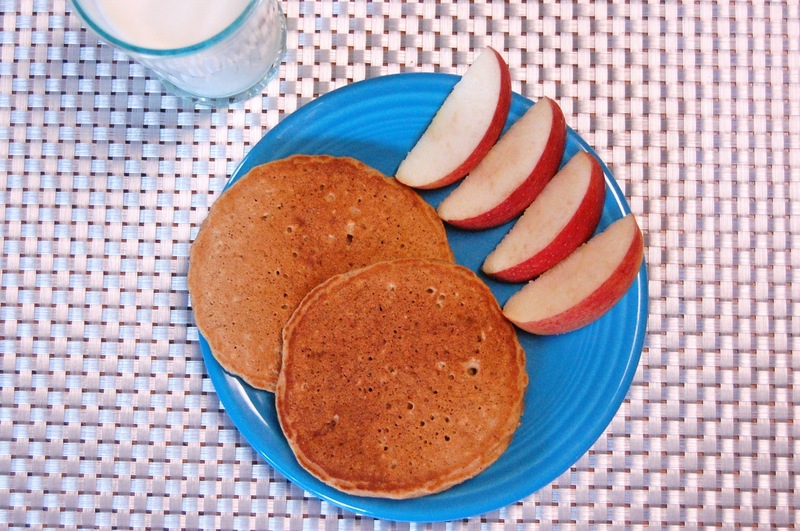 These wholegrain pancakes are perfect for school day mornings. Just take a couple of pancakes out of the freezer, pop them in the toaster or microwave, pour a glass of milk, and breakfast is served. Plus, they’re super portable for eating on the go. The idea for these pancakes started when Grandma brought over a package of frozen toaster waffles from the store. The kids loved them and I liked their convenience, but I wasn’t about to put them on the grocery list. I figured I should be able to come up with a healthier, homemade version. As it turned out, the kids think these toaster pancakes are even better than the toaster waffles from the store. I included applesauce in the recipe, both for its flavor and because we have an abundance of applesauce, thanks to Grandpa’s apple trees and Grandma’s kitchen. Combined with cinnamon, whole wheat flour and oats, these pancakes taste as good as the aroma that wafts out of the toaster. The brown sugar in the recipe provides just enough sweetness to make these pancakes tasty without syrup. And, they’re sturdy enough to hold up to freezing, reheating and eating with your hands, if necessary. I make a double batch on the weekends and stash the extra pancakes in the freezer. For a special breakfast treat, when there’s time for sticky fingers, top these pancakes with LAND O’LAKES Cinnamon Sugar Butter Spread. *You can use sweetened applesauce, too. 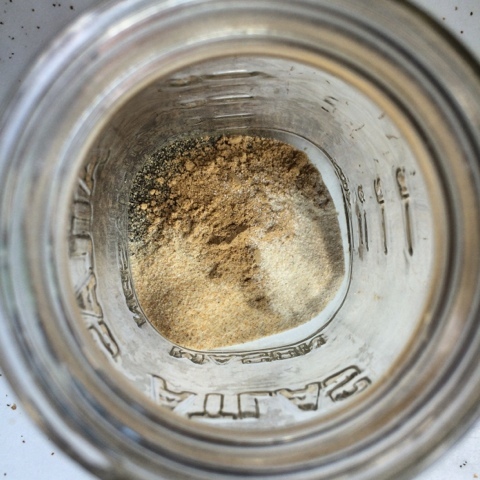 Just reduce brown sugar to ¼ cup. Grind rolled oats in food processor until fine. Combine ground oats, flour, baking powder, cinnamon and salt in small bowl. In large microwave safe bowl, melt butter in microwave. Stir in applesauce, eggs and sugar. Then mix in vanilla and milk. Heat griddle to 350°F (or skillet to medium – the pan is hot enough when a few drops of water bubble right away but don’t instantly evaporate). 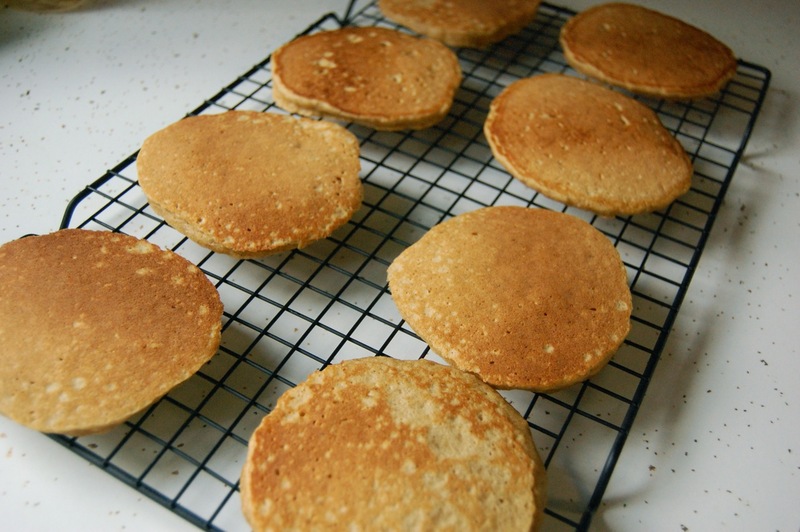 Using a ¼ cup measure, pour batter onto hot griddle and nudge into 4-inch circles. Cook until bubbles in pancakes just start to pop. Flip and cook until dark golden brown. To freeze: Lay cool pancakes on cookie sheet or cooling rack in single layer. Place cookie sheet in freezer until pancakes are frozen (about 20 minutes). Transfer frozen pancakes to airtight container or zip-top freezer bag. 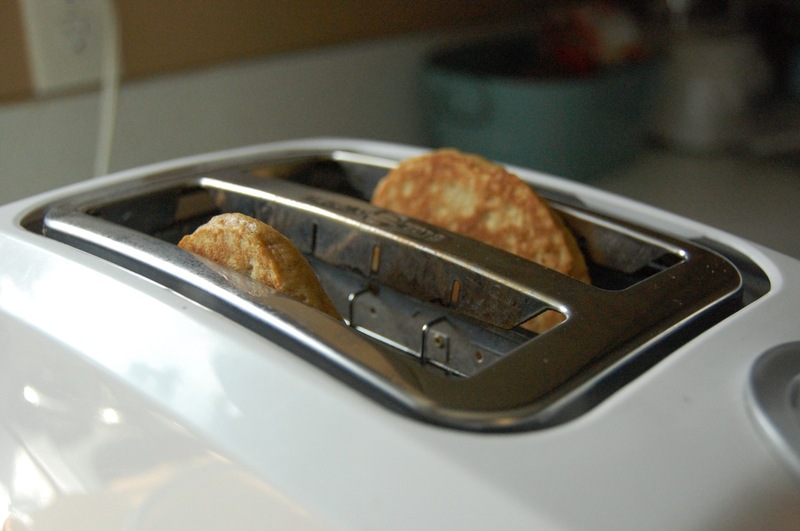 To reheat: Place frozen pancakes in toaster and heat on lowest setting. Use the frozen option, if your toaster has one. You may have to toast twice to heat through. Alternatively, heat frozen pancakes in microwave for about 45 seconds. This salad redefines recipe evolution. 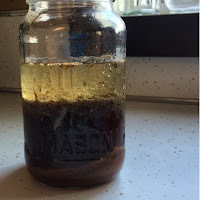 It started out as my sister's recipe for ramen noodle cabbage salad – the kind you dress with oil, vinegar, sugar and the ramen seasoning packet. I loved that dressing, but I don't like ramen noodles in my salad. After accumulating a dozen or so packages of ramen noodles without seasoning packets, I decided that I needed to figure out make this dressing without the ramen seasoning packet. After a few trials, I inked this recipe into my recipe book. It's really just rice vinegar, canola oil, soy sauce, sugar/stevia, onion, garlic, ginger, and pepper. I use a combination of sugar and stevia, but either can be used. Sometimes I use Braggs Liquid Aminos in combination with the soy sauce, but a little less since liquid aminos are saltier than the reduced sodium soy sauce I use. I've also made the dressing with freshly grated ginger, which was wonderful, but more work. I was perfectly happy with my new cabbage salad just the way it was until I watched this thought-provoking TEDx Talk. The speaker talked a lot about kale. I knew kale was a superfood. (My college nutrition professor ingrained the holiness of cruciferous vegetables into us.) But I had never tried kale. The TED Talk prompted me to find a way to include kale in my life. I figured it would pair well with the cabbage and dressing, so I added it to this salad recipe. I started adding carrots, too. Why not knock three colors off my eat-the-rainbow list? The resulting kale-cabbage-carrot salad, which got nicknamed 3KC Salad after one of the vaccines we give to the cows, was amazing. The only problem was that the recipe I put together makes a very large batch and I was the only one in our house who ate it. (Daphne eats it with me now.) So after a week of salad for lunch every day, my love for this salad would start to wane a little. Then, one day while I was looking to add some protein to my lunch, I threw some oven roasted almonds on top. The salad went from fantastic to out-of-this-world. Even after a week in the fridge, this salad has great texture, but the crunch from the almonds takes it to another level. The final step in the evolution of this recipe happened after I heard that Land O'Lakes was coming out with a teriyaki version of their Sauté Express. I've been cooking with several of the Sauté Express flavors for awhile now, so I was thrilled to see teriyaki added to the lineup. 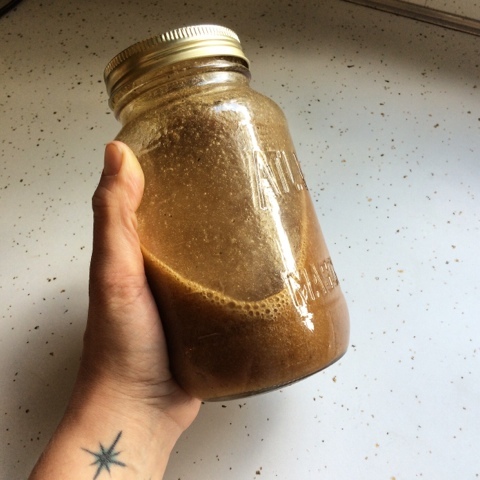 I used to make my own teriyaki sauce, because I didn't like the taste of store-bought sauces. But the flavor of the teriyaki Sauté Express won me over instantly. I had a pail of 3KC Salad in the fridge when I first made teriyaki chicken with the Sauté Express. 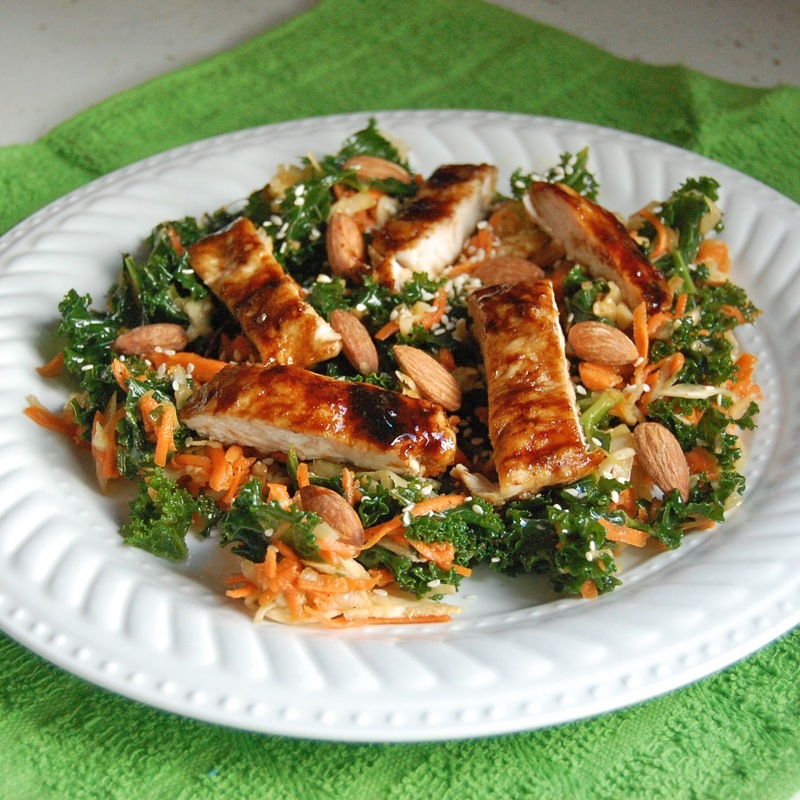 I tried the salad and chicken together, sprinkled with almonds, sesame seeds and nori chips. I don't think I can adequately describe how amazing this combination of flavors and textures is. Just know that it's really, really good. *To use just sugar and no stevia, increase sugar to 6 tablespoons. Tear kale into small pieces, discarding ribs OR discard ribs and shred with sharp knife (check out this pictorial on shredding kale from The Pioneer Woman). 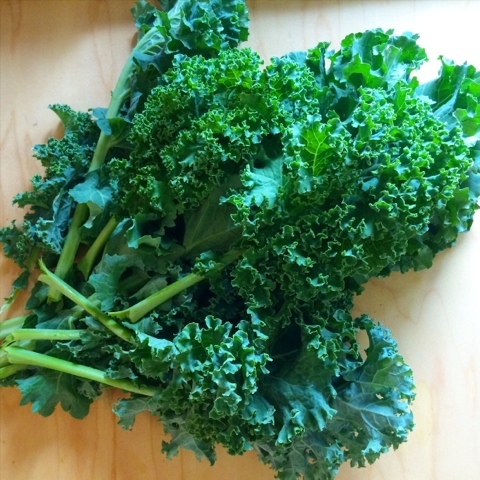 Place kale in bottom of 4-5 quart container – one that has a tight fitting lid (I use an ice cream pail). Peel carrots and shred in food processor. 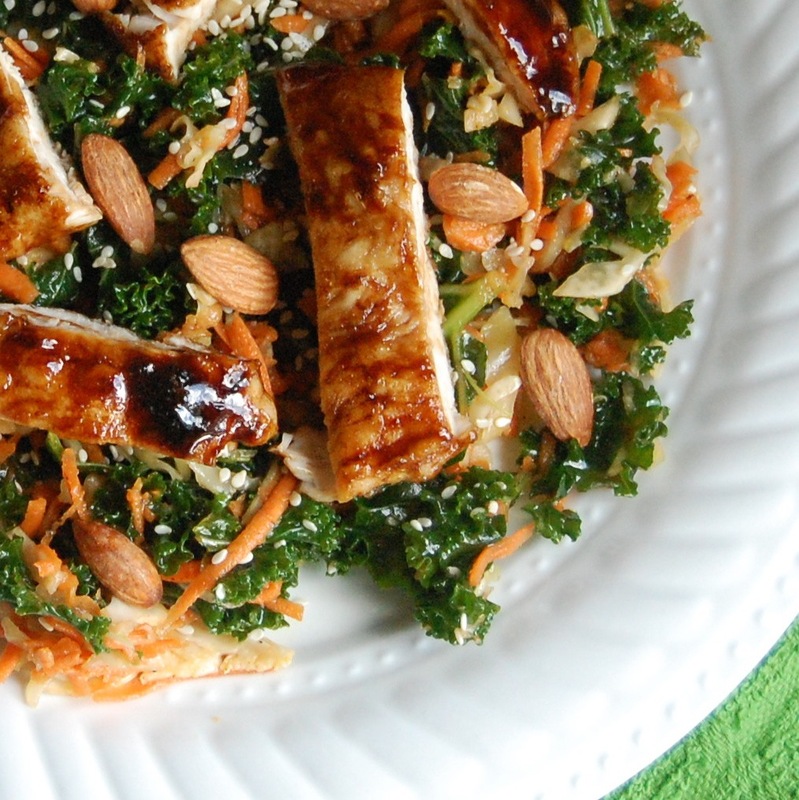 Place shredded carrots on top of kale. Place shredded cabbage on top of carrots. If necessary, press vegetables down to fit in container. Combine all vinaigrette ingredients in glass jar. Screw lid on tight. Shake vigorously until blended. Pour vinaigrette over salad. Put lid on container and shake to coat salad with dressing. Refrigerate salad overnight, shaking again after a couple hours, to allow vegetables to marinate. Salad volume will reduce. Toss salad with forks after marinating to combine vegetables. 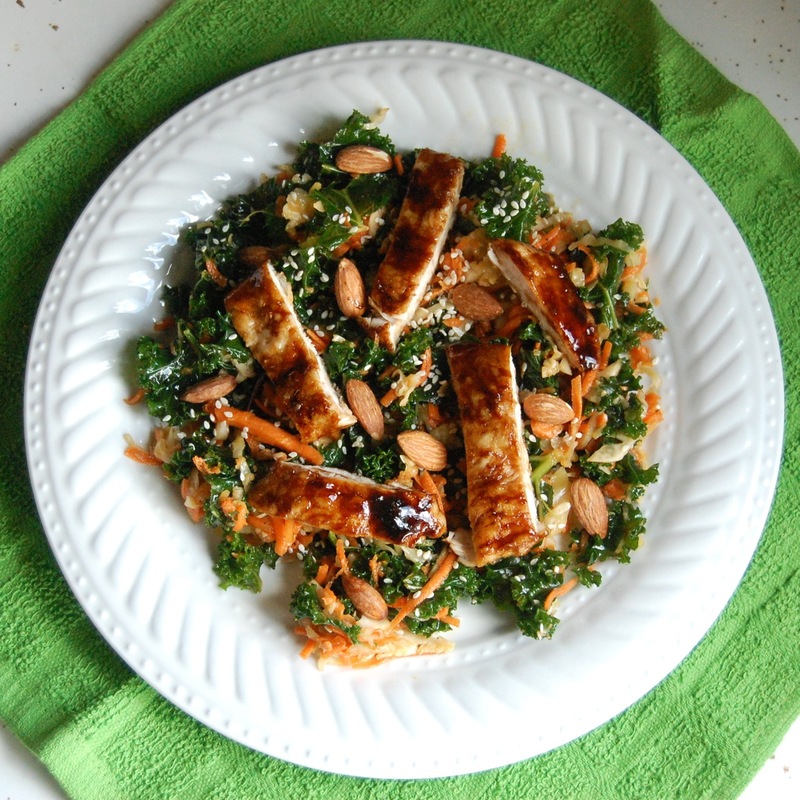 Top salad with teriyaki chicken, oven roasted almonds, sesame seeds, and/or nori chips. 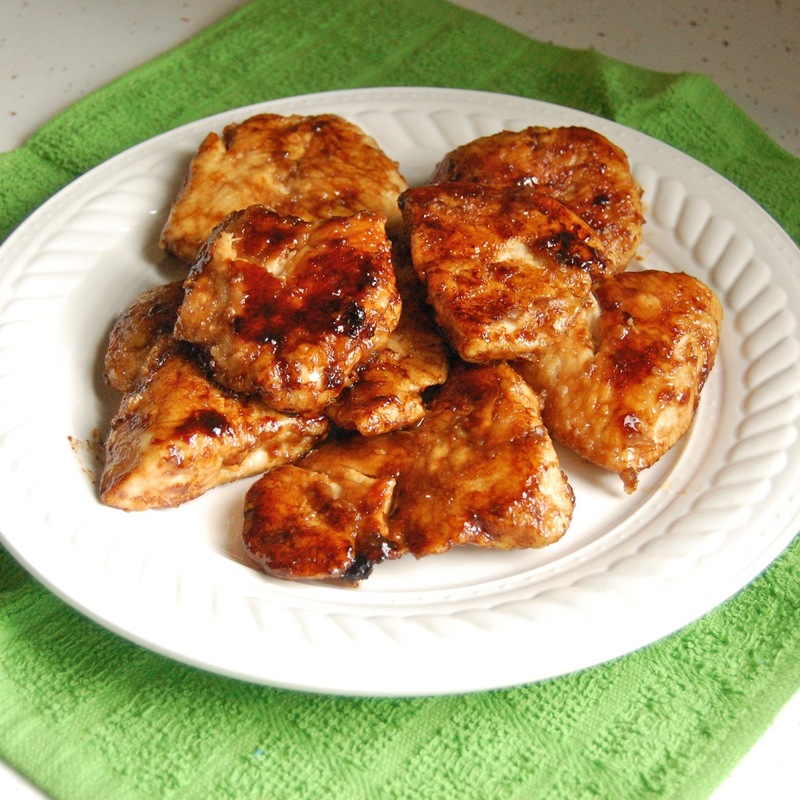 Cut chicken pieces in half and flatten to uniform thickness. Dredge chicken pieces in corn starch. Melt 2 Sauté Express squares in large nonstick skillet over medium heat. Once the sauté starter is bubbly, add half of the chicken pieces. Cook until chicken is done in the center, turning pieces at least once. Remove cooked chicken from pan. Melt remaining 2 squares of sauté starter and cook remaining chicken. Note: The salad will keep in a covered container in the fridge for at least two weeks. I am a Land O'Lakes Cooperative member-owner. I did not receive compensation from Land O'Lakes for writing about Sauté Express or from any other company for mentioning any other product. All opinions are my own.